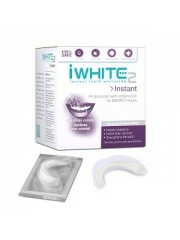 iWhite Instant Teeth Whitening Kit whitens teeth up to 8 shades for a brighter, healthier smile. Des..
iWhite Gum Care Toothpaste whitens naturally, restores enamel and protects gums thanks to the triple.. 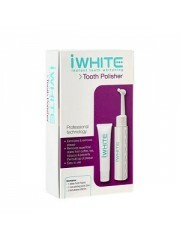 The iWhite Tooth Polisher is an easy-to-use dental polishing device which will help to remove plaque..
"Triple action" whitening mouthwash for daily use. The presence of blue covarine in the fo.. The perfect partner for everyday whitening and dental care. This toothpaste with "triple-action..
Vitamin.sg is owned and managed by Sainhall Nutrihealth Pte Ltd, with wholly-owned premises. Since 2008, we exist to inspire the community to care for their health and wellness, enabling them to live a healthier life. Sainhall Nutrihealth Pte Ltd is also a major distributor of health and nutritional products that includes Spirulina, Natural Astaxanthin and hatcheries products in South East Asia. Q) Do I need a PayPal account to pay for my purchase? A) No, all you need is any Debit/Credit card (see above) supported by PayPal. Copyright © 2008 - 2016 Sainhall Nutrihealth.